Aoki is renowned for his adventurous attitude toward genre-defying collaborations, which has seen him join forces with A-listers like Migos and Daddy Yankee, among many others, as well as rising up- and-comers alike. In 2016, Aoki enlisted One Direction’s Louis Tomlinson for the global hit “Just Hold On,” which they performed together on the series finale of The X Factor in the UK. Debuting at #1 in more than 40 countries, the track has since gone gold or platinum in 18 countries. Elsewhere, he’s collaborated with rap star Desiigner on his remix of the BTS track “MIC Drop,” which became the highest-charting song by a K-pop group in US history and the first to go gold, as well as Fifth Harmony’s Lauren Jauregui for his track “All Night,” which hit #1 on the iTunes dance chart. In 2018, Aoki released the Spanish-language track “Azukita,” featuring an all-star cast of Latin pop legends: Daddy Yankee, Play-N-Skillz, and Elvis Crespo, all of whom joined him for a live performance on the main stage of Ultra Music Festival. As a solo artist, Aoki boasts a lauded discography that also includes: Wonderland (2012), his debut solo album, which garnered him his first-ever Grammy nomination for Best Dance/Electronica Album; Neon Future I (2014) and Neon Future II (2015); and his most recent album, Steve Aoki Presents Kolony (2017). Debuting at #1 on the iTunes Dance Albums charts, Kolony sees Aoki fully crossing into the hip-hop realm via collaborations with top rap and R&B acts including Lil Uzi Vert, Lil Yachty, Migos, 2 Chainz, Gucci Mane, iLoveMakonnen, T Pain and more. Collectively, Aoki’s music has amassed 1.5 billion streams on Spotify, with an additional 2 billion music streams on YouTube. In addition to multiple EPs, singles, and remixes, Aoki’s 2016 Netflix Originals documentary film I’ll Sleep When I’m Dead captures his career to date and chronicles his family upbringing, personal life and long-winding career from a scrappy entrepreneur to mainstage superstar. Premiering to a sold- out audience at Tribeca Film Festival, the film garnered Aoki’s second Grammy nomination in 2016 for Best Music Film and has been globally released in more than 190 countries. 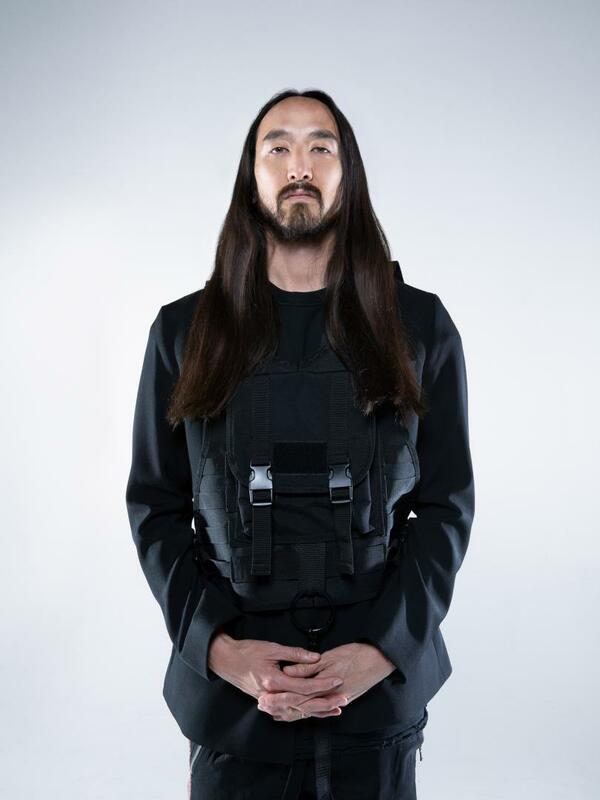 Recognized by Forbes as one of the top 5 World’s Highest-Paid DJs of 2018 and the World’s Hardest- Working DJ, Aoki is “one of the most in-demand entertainers in the world” (Billboard), counting over 250 tour dates per year and officially holding the Guinness World Record as the “Most Traveled Musician in a Single Calendar Year” (2012). In addition to multiple headlining tours, he’s performed at nearly every top festival around the world including Coachella, Ultra Music Festival, Lollapalooza, Fuji Rock Festival, Tomorrowland, Electric Daisy Carnival and more. He’s also remained a leading figure in DJ Mag’s coveted Top 100 DJs annual poll, ranking in the Top 10 consecutively over the last five years.